What's New For the 2019 Lincoln Continental? 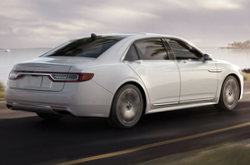 Drivers who are in the market for a new luxury sedan need look no further than the 2019 Lincoln Continental. Though the Continental has long been one of the premier vehicles in its class, Lincoln has gone out of its way to ensure that the 2019 model is the best Continental ever. In order to do so, they have added a bunch of exciting new features. Drivers are likely to be particularly impressed by the inclusion of innovative technology such as adaptive cruise control. The 2019 Lincoln Continental truly has a lot to offer. Which Features are Available in 2019? 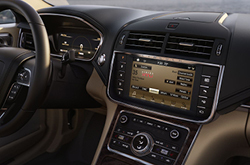 If you are considering making the 2019 Lincoln Continental your next car, you will have four main trim levels to choose from - Base, Select, Reserve, and Black Label. Having chosen the trim level, you will then be able to decide whether you would prefer a front-wheel drive or an all-wheel drive. Though each trim and configuration offers a unique take on the new Continental, they also have something in common - they are all packed with fabulous features and amenities. In particular, tech lovers are sure to enjoy the innovative Head-Up Display feature that allows drivers to see key information about their car without ever taking their eyes off the road. 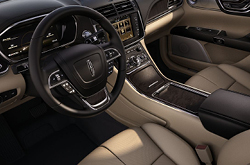 For rear-seat passengers, Lincoln offers a package that includes power lumbar support, a reclining seat, and even a massage function. No matter which trim option you choose, you're going to love spending time in your 2019 Continental. When considering the purchase of a new vehicle, it is important to know that it has the power and performance to handle anything that you might throw at it. The 2019 Lincoln Continental offers an abundance of both. Its available Twin-Turbocharged 3.0-Liter V6 engine is capable of delivering a massive 400 HP and 400 lb-ft of torque. Of course, the 2019 Continental doesn't just exude raw power - it refines it too. By pairing its impressive engine with a Dynamic Torque Vectoring system, the Continental delivers agile cornering and a seamless driving experience. When it comes to driver and passenger safety, the 2019 Lincoln Continental truly leads the pack. Its Co-Pilot 360 suite of safety technology includes features such as a rearview camera, automatic emergency braking, and a blind-spot information system. The 2019 Continental also offers an innovative 360-degree camera that allows the driver to see everything that is going on around them. Now that you have learned a little bit more about the 2019 Lincoln Continental, you may be wondering where you can check out one in person? Well, all you need to do is stop by the Grapevine Lincoln showroom during regular business hours. Once you arrive, one of our helpful representatives will be more than happy to get you set up with a test drive and provide you with more information on this wonderful vehicle.